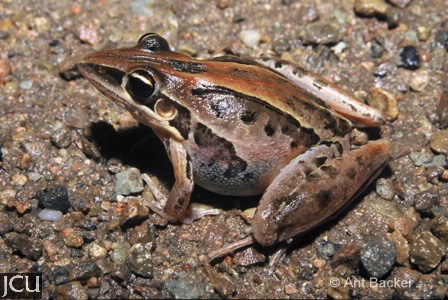 The body of this frog varies from light to dark brown with stripes on the back, the area between the stripes is usually warty or roughened by ridges. Belly is white and back of thigh yellowish. 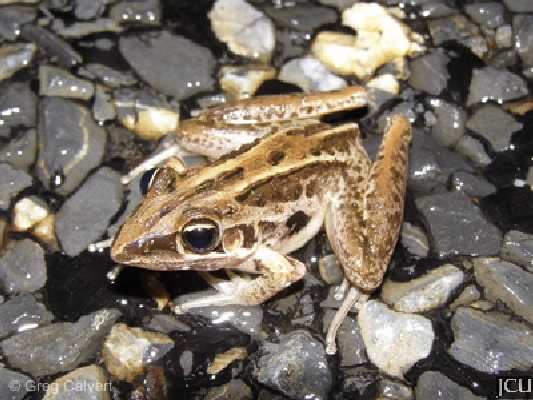 The head is darker with a stripe running from the nostril to the eye. Fingers not webbed but toes are partially webbed.